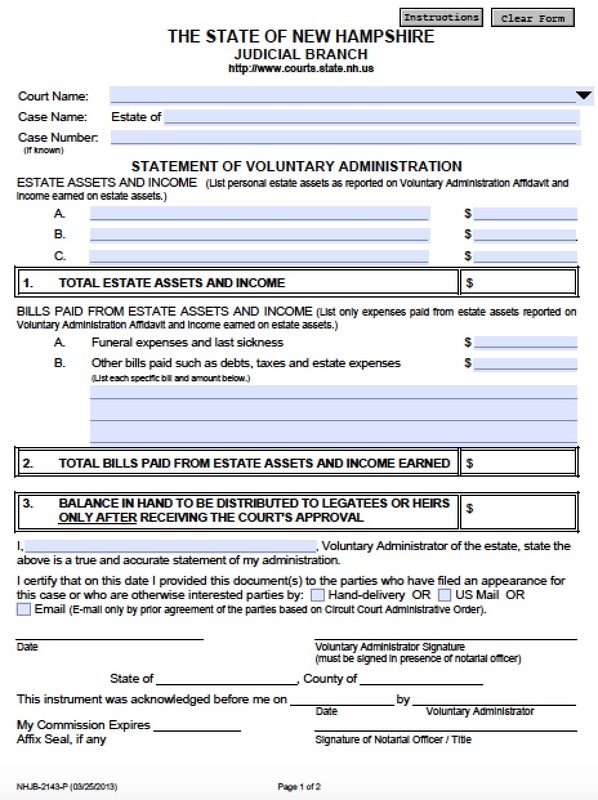 If a New Hampshire resident passes away without a last will and testament, then the family or other successors may file an affidavit of heirship to claim “real property” owned by the decedent. This property includes bank accounts, stocks and bonds, and debts owed to the decedent such as final paychecks. 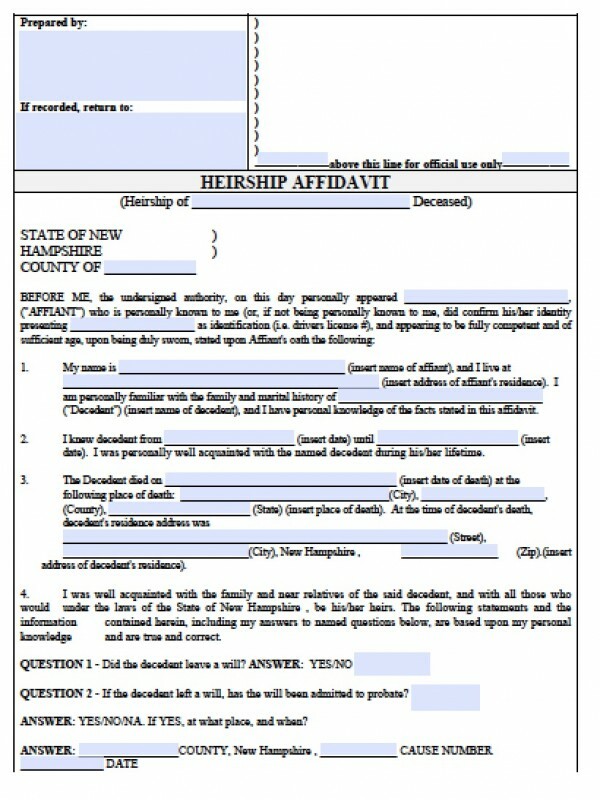 The affidavit of heirship in New Hampshire may also be used to claim cars, trucks, boats, heirlooms, or other non-real estate items that value below a certain dollar amount, per statute NHJB-2151-P.